July 31, 2009  You Are Here delves into the physiology and folklore of wayfinding. Alternating between scientific experiments and real-world examples, psychologist Colin Ellard bares the brain's algorithms for finding the body's location on the planet. 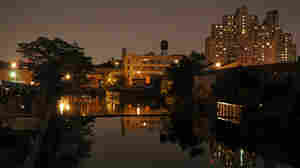 July 31, 2009  Even in some of its more dicey neighborhoods, St. Paul, Minn., has the old-fashioned American look of an Edward Hopper painting. It's not particularly threatening looking, but for crime writer John Sandford, this is the territory of tough thugs. July 30, 2009  Ray Bradbury's novel about a futuristic America where books are not merely banned but burned remains one of science fiction's most popular works. And now it's one of the best graphic novels of 2009. July 30, 2009  Author Alice Hoffman says the world rendered in Ray Bradbury's Fahrenheit 451 "is a place of great heart and wisdom, a universe of huge imagination where nothing is off-limits." July 30, 2009  Ray Bradbury's 1953 classic has been adapted for a new medium. Graphic novelist Tim Hamilton reimagines the book in a classic comic book visual style. July 29, 2009  Leidy Bonanno had just graduated nursing school when she was killed by an ex-boyfriend in 2003. Slamming Open the Door is Kathleen Sheeder Bonanno's way of remembering. July 29, 2009  Thomas Pynchon's new book, Inherent Vice is a deliciously composed dark comedy. The story of the abduction of a millionaire developer and the stone hippie private eye who goes in search of him is charming and pleasing. July 29, 2009  The U.S Government is helping the soldiers fighting in Iraq and Afghanistan write about their experiences through a project known as "Operation Homecoming." The mission: to record the history of these wars from the viewpoint of the men and women who fight them. Former soldier Sang-joon Han, who wrote a piece of short fiction set in the Iraq war; Ethelbert Miller, who mentored the troops through the writing process and Anisa Moyo, an aspiring writer and former Army medic, share their stories. 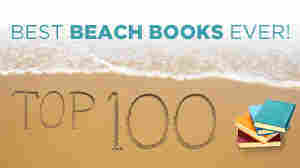 July 29, 2009  What makes a great beach read? 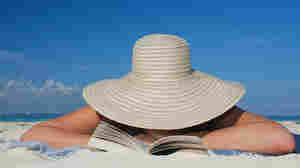 The producer of our book series, Ellen Silva, thinks it's a book set where you're vacationing. She has picked four spots — Venice Beach, Calif.; Cape Cod and Martha's Vineyard in Massachusetts; and South Beach in Florida — with great surf and even better books. July 28, 2009  Movie critic Nathan Rabin chronicles the dark upbringing that he survived thanks to pop culture in his book, The Big Rewind. Now 33, Rabin is head entertainment writer at The Onion's A.V. Club. He says the secret about the memoir, written as a comedy, is that it's really about depression. July 28, 2009  The Wall Street Journal's David Wessel takes a look back at the steps the Federal Reserve took last fall to pull the U.S. economy back from the abyss. July 28, 2009  Writer Gabriel Cohen bases his Detective Jack Leightner series in Brooklyn, where he says the neighborhoods "are not static at all. The lines where things are changing create conflict and sometimes create violence," which is reflected in his books. 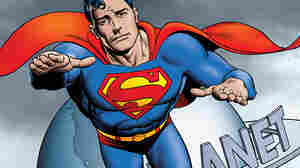 July 28, 2009  In 1986, DC Comics decided to reboot the Superman series. But first, it asked Watchmen creator Alan Moore to pen a farewell to the original Man of Steel. The comic, now reprinted in hardback, is a surprisingly tender elegy to Superman's rich history.